The Edition 1906 also puts the spotlight on sustainability. While consuming around 80 % less electricity, the modern LED lamps last up to five times longer than conventional incandescent bulbs and keep on shining for up to 25,000 hours. Classical charm: Our lamps are the smart choice for your home with their energy saving potential, their elegant and unique vintage design and their warm, amber light. They truly stand out in minimalistic fixtures but will naturally compliment any kind of lighting design. This timeless classic comes in several Watt variations, as well as in an elongated P shape for a new twist on an old favorite. Efficient elegance: the amber-gold tinted LED Edison lamps sparkle with an exciting, classic filament design and excellent energy efficiency – typical LED. One more reason to connect Edison in series straight away. Whether your style is clean chic or shabby, these lamps will enhance your ambience and perfectly compliment your design choices. 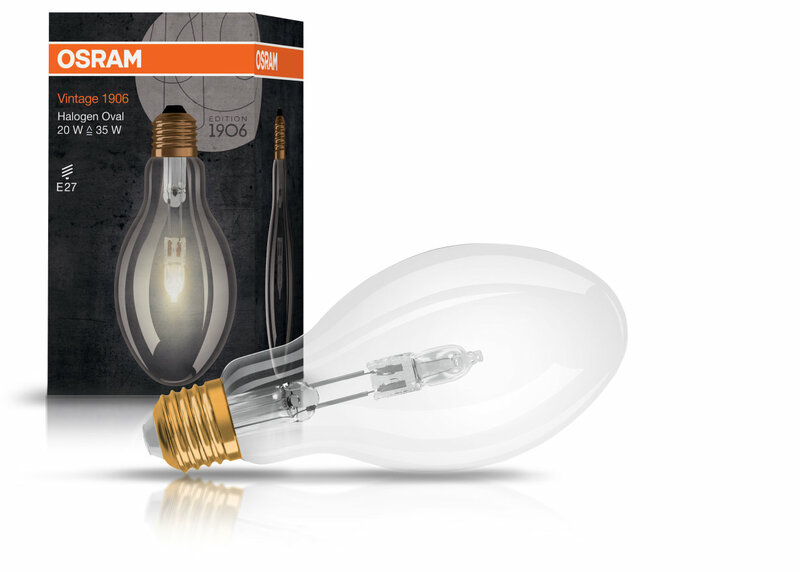 The Edison comes in a dimmable and non-dimmable version. The extravagant spiral filament variation adds an additional, strong style element to your lighting fixtures. Vintage for a sense of well-being: with their amber-gold tinted design, the Edition 1906 LED Globe lamps provide a warm and ambient light combined with energy efficiency. The aim here is to set atmospheric accents and create ambient lighting. The Globe comes in several variations, one of which is also dimmable. The extravagant spiral filament variation adds an additional, strong style element to your lighting fixtures. For the true retro enthusiast, there is even a 70ies style disco variation with a mirror black finish. Classy accessories: These sophisticated, candle shaped bulbs enhance chandeliers and other fixtures. The three shape variations bent tip, torpedo and twisted are the perfect companions for your lighting centerpieces. 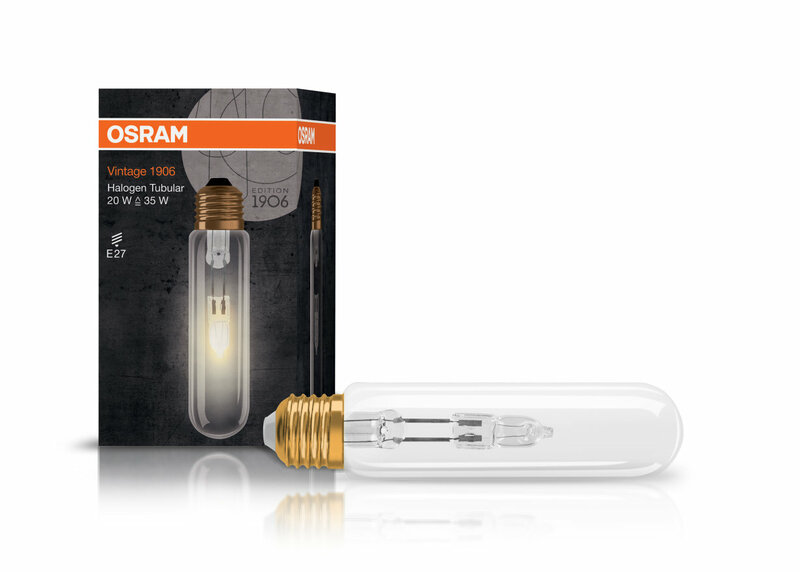 The retro Edison filament flame gives you old-fashioned charm combined with modern technology. Their elegant shapes work well with vintage style appliances and furniture but can also provide a subtle twist on any shabby chic living space. Straight shooter: The vintage Tubular bulb is a no-nonsense choice if you like clear, straight shapes. Vintage design meets cutting edge technology to prove that LED lamps can light up your home with warmth and style, while saving real money on energy costs at the same time. This lamp comes in three variations, one of which is also dimmable. Slightly eggcentric: Our Oval lamp offers the LED specific technical advantages you’ve come to expect and cherish - a long life and unprecedented energy efficiency. Modern technology, retro design and a shape just different enough to catch people’s attention, that’s the Vintage 1906 LED Oval. Whether your choice is a minimalistic fixture or pairing the lamp with a bold design, the Oval will hold its ground. Convex eyecatcher: The powerful Big Grape is a flagship of the Vintage Edition 1906 – a striking example of how the product line celebrates timeless shapes. 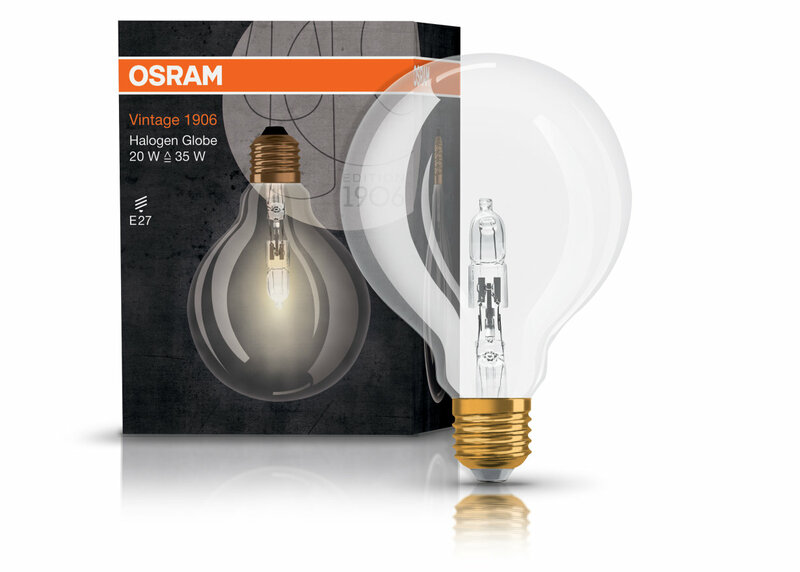 This extravagantly sized bulb knows how to make a statement, giving you the longevity and energy savings of modern-day LED technology paired with pure vintage style. Luxurious extravagance: These two extraordinarily shaped lamps lend a special aura to your living spaces. Too gorgeous to be hidden away, the pinecone and the diamond deserve to be the center of attention. However opulent these lamps may look, they will not lead to a shocking electricity bill – a stunning combination of LED energy efficiency and luxurious design. Playful, yet efficient: Are you looking for a way to light up your Valentine’s dinner? Do you need a little extra something for the holiday spirit? Are you planning an autumnal feast for family and friends? Do you like whimsical lighting all year around? For a playful illumination on every day or just for those special times, pick your choice of heart, star or mushroom shape. Our special shape bulbs offer the same energy savings as the regular shapes, while giving you a whole new outlet for your interior designing creativity. Subtle style icon: a halogen lamp with charming retro curves that ensures the right lighting mood in any situation thanks to perfect dimming and customary light quality. The retro tube: like all halogen lamps in the Vintage Edition 1906, these authentic lamps combine vintage style with flawless color reproduction and the brilliance you would expect from halogen.